Why did we not learn from our history? Why did we not learn from our own history? Recriminations will continue for some time after the failed bid to bring the World Cup to Australia, but I am just a little surprised that the Football Federation Australia did not learn just a little from the history of the game in this country. 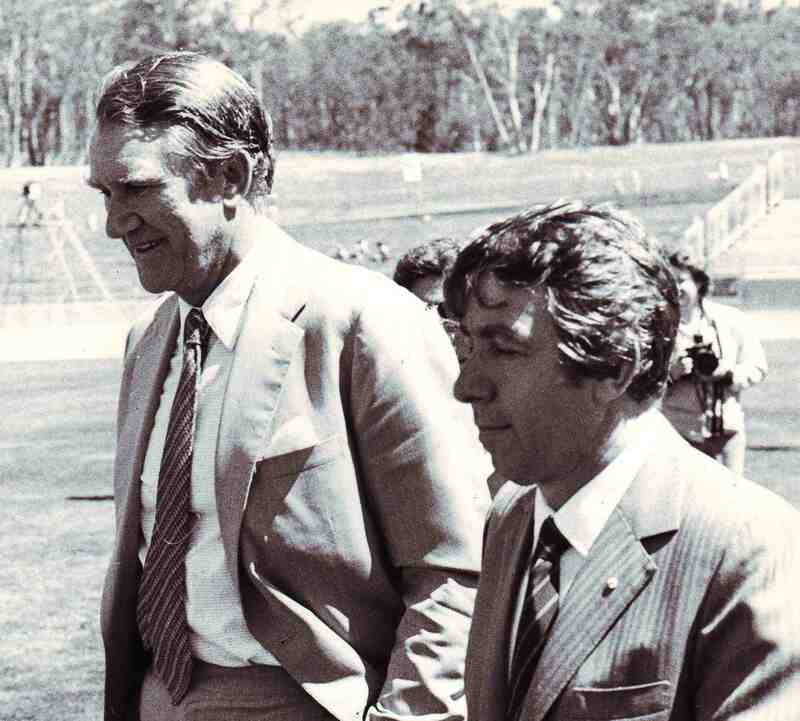 In particular, Frank Lowy, who found out about Australia as he tried to cope with football governance in the 1960s and 1970s, might have realised that the very same game was being played in Zurich in 2010. As is well known, Frank arrived from Hungary with little English and no conception of Australian society and finished up as one of the country’s richest men. His first steps in business in this country took place alongside his exposure to Australian football at the Hakoah club in Sydney, where he became a key figure. 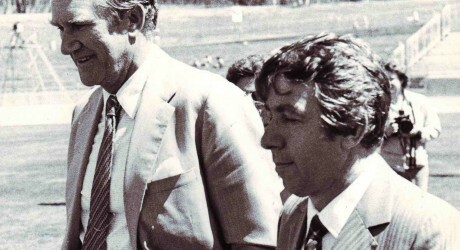 In the 1980s the inefficiencies of the ASF and its National Soccer League drove Frank Lowy to distraction and he pulled Hakoah out of the NSL and subsequently left the game altogether. He was only persuaded to come back on the promise that the ASF would be replaced by a governing body with a unitary structure supported by a much wider franchise of representative bodies. Direction would come from the head, not from a bunch of competing sectional interests. Most people who have written about the history of the game in Australia have blamed ‘ethnic politics’ for the failures of the sport to become the leading code of football, rather than the second in every state. But David Crawford, who wrote the report which helped transform the game in 2003, Braham Dabscheck, the leading historian of industrial relations in sport in this country, and I have been arguing for some time that it was not politics but the governing structure of the game which was the problem. In 1957 a breakaway movement starting in New South Wales replaced the amateur bodies which ran the sport with the Australian Soccer Federation. This was a body in which the clubs in each state had effective control of their local organisation and through that of the national body. A restricted franchise meant that horse-trading to secure a majority of the votes was the inevitable way of proceeding and so each major decision was the outcome of a series of deals between the individuals and groups involved. The merit of a proposal or the interests of the game appeared, and often were secondary. That might have been tolerable had the game remained, as it was then, a series of local competitions run more or less in isolation from each other, with an occasional carnival to decide a national state or club champion team. But in the 1970s the game became national and international, with the setting up of the first national league of any of the codes of football, and the successful qualification for the World Cup in 1974. Now the costs and the responsibility shifted to those levels, but the tail continued to wag the dog. The contrast with the Australian Football League, which had a similar structural problem, but solved it over a decade and half by setting up an independent commission to run the game, is extreme and telling. Another visionary, Sir Kenneth Luke of the Carlton football club and president of the Victorian Football League had the vision and this was carried forward in a series of reports, including an earlier one by David Crawford, so that the tribal council could run the game free from the dominance of the clubs and the ground managers. Now look at the relative position of the AFL and the FFA and you can understand how much catching up the latter is having to do. Frank Lowy remains the best hope some of that ground can be made up. His strategic vision is considerable and he has done wonders for the game here since returning to head the FFA. When Frank Lowy faced the FIFA Executive Council in 2010 it must have appeared like the very worst of his pre-1980s Australian experiences as a restricted franchise of interested individuals traded and broke promises, engaged in tactical voting and pretended that they had the interests of the game at heart. What is the lesson from Australia’s football history? Simply, it is that that system cannot be beaten, it must be replaced by something which enables decisions to be made on rational grounds by those with the expertise and the capacity to carry the responsibility. Only then will Australia have a chance of hosting a World Cup.